Jordan Brand will be completing their “Like Mike” campaign with four Gatorade-inspired colorways of the Air Jordan 1 and another “Gatorade” Air Jordan 6. Debuting in August 1991, one iconic campaign with Gatorade inspired millions with a cheerful yet simple challenge: “Be Like Mike.” Now, 26 years later, Gatorade and Jordan Brand come together to celebrate what “Be Like Mike” has come to represent today. Below is look at the entire Air Jordan Gatorade Collection that will continue releasing on December 26th and December 30th. As tribute to the classic beverages that have fueled generations of athletes, the Air Jordan 1 takes on Lemon Lime, Grape, Cool Blue and Orange flavorways. 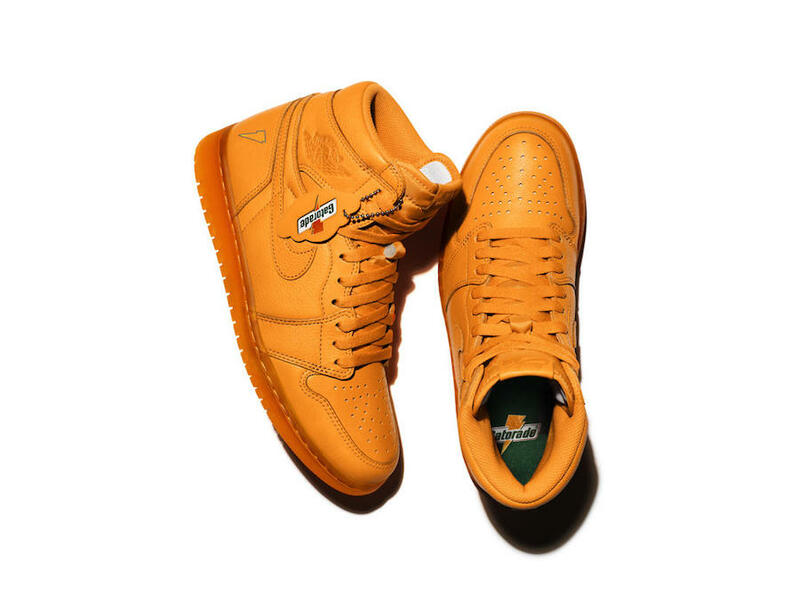 Each color uses a premium leather upper with “Be Like Mike” wordmarks on the inner tongue and the Gatorade logo featured throughout. The Air Jordan logo mimics the finish of a Gatorade bottle cap, while a debossed bolt is featured on the shoe’s lateral heel. A dual branded Jumpman and Gatorade hand towel and matching hangtag is included in the Like Mike branded shoebox. 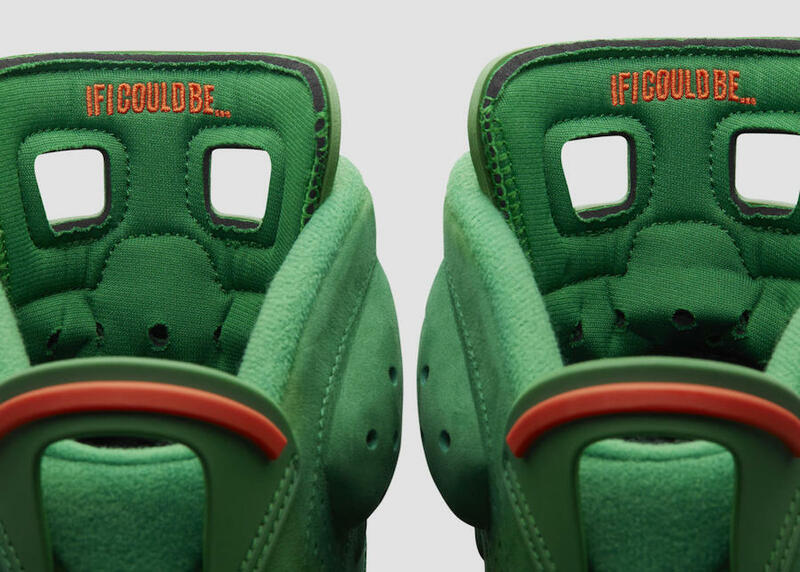 The Air Jordan 6, the very shoe Michael Jordan wore during the original Gatorade campaign, gets dressed up in all Green synthetic suede with bright Orange details. This colorway is highlighted by a squeeze bottle-inspired lace lock, Gatorade branding on the insole and “If I could be” embroidered on the inner tongue — a nod to the spot’s catchy song lyrics.